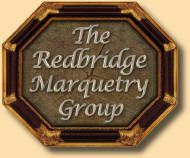 In our web site you will find a wealth of knowledge on all matters marquetry ranging from wood descriptions to varnishing and presenting finished pictures. We now have more than 40 tutorial and instructional pages available, which you can find by clicking the Tutorial's Pages button. We held a very successful demonstration and mini exibition at Thames Chase Country Park in late 2018, click the above picture to read about it.